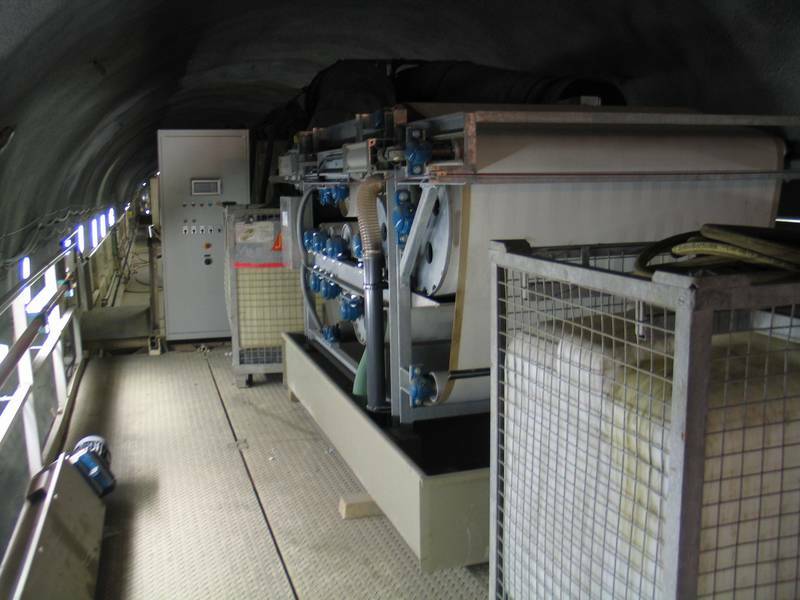 The goal is to effectively drain sludge of various origins and achieve the highest possible dry matter content. FILTECH Compact Belt Filter Presses are extremely flexible. Not only they drain sludge of various origins, but can also deal with the large variability of the amount of dry matter in sediments. FILTECH Compact Belt Filter Presses are available in a variety of sizes. You can find all the details in our brochures. 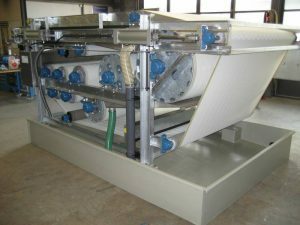 FILTECH Company develops, constructs and manufactures Belt Filter Presses. Our machines are 100% produced in Switzerland. Sewage sludge dewatering with the use of belt filter presses is a complex process consisting of several successive steps. The most important part of process is the flocculation, where the solids are separated from water with the use of flocculant or polymer. The slurry in this form proceeds to the filter compartment where static filtration occurs in the pre-compaction zone. The filter cake is formed. Then the filter cake is being transported between two belts in consecutive zones of the press, causing the water to burst out of the filter cake. The filtration is a continuous process. The final product, dehydrated sewage sludge, is directed from the press straight to the conveyor belt.